I still remember how it all started, I was seven years old going about my life in my pretty yellow, red and white dresses. 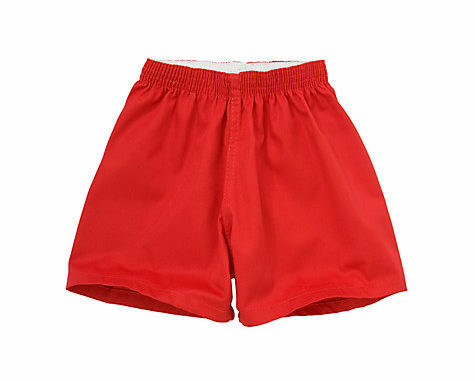 And then one day a pair of red cotton shorts walked into my life. I’m not quite sure if they were the first pair of shorts I ever wore but I do remember it was the first time I was aware that I was wearing shorts and not a dress. My mom had returned home one day with some new stuff and like she always did, she made me first guess what she had got for me. ‘ A book for school?’ I replied, hoping that it wasn’t. By this time I couldn’t hold in my anticipation any longer and so I just pleaded with her to show me what it was. ‘Ok I have bought you some new clothes’ she said finally as she spread them on the bed. I looked through the new clothes excitedly. First I saw a dress, shirt and then there they were, a pair of red cotton shorts lying among all the other clothes. I grabbed them eagerly and held them out and looked them over. Unable to wait, I quickly slipped them on and fell in love with them instantly. I asked my mom how I looked. ‘You look really nice’ she said as she smiled and gave me a thumbs up. ‘I am going to go and show my friends!’ I told her excitedly and run off to my friends’ house before I could even try on the new dresses. I loved how I felt in my new shorts, I loved that I could see my legs and knees. I loved that I could sit with my legs apart without worrying about my mum or any adult asking me to sit properly cause my knickers were showing . I loved that I could run faster than I normally did in dresses when my mum sent me to the shops and playing in the rain was so more fun, I jumped over water puddles with great joy and I somersaulted on the grass with so much ease. My new shorts did not only feel like freedom, they were freedom. I wore my new shorts for days on end that sometimes the other kids made fun of me because I wore only one pair of shorts. ‘Don’t you have any other clothes?’ they teased. But I was not bothered, they had no idea how invincible my shorts made me feel . In my shorts I felt like I could do anything and I did, some of which led to a lot of bruised knees and bad wounds. I remember running home to my mum so many times, knees bleeding and tears flowing .It was so painful but whenever I would think of the things I did in my shorts, it was worth it. On several occasions my mum asked me to wear other clothes but in vain. But I just ignored her. I couldn’t care less how dirty they got or how painful it was each time I hurt my knees, all I wanted was to wear my red shorts. Each day after school I would run home quickly to take off my school uniform (which was a dress) and change into my shorts and go out to play. One day though, I returned home from school only to find that my mom had washed my shorts and they were not yet dry. I had never been so devastated! ‘’What I’m I going to wear?” I thought to myself. And as I sat on my bed, sulking, mad at my mum for washing my extremely dirty shorts, a light bulb went off in my head. ‘ I could iron them over and over again till they dried’ I said to myself. And that’s exactly what I did. I began pressing the shorts again and again but unfortunately I was not really good at this ironing thing and so I burnt my hand in the process. I cried out in pain but was glad that it was I that I had burnt and not my precious shorts. And after what seemed like an eternity, my shorts were dry enough to wear and off I ran to my adventures in the neighbourhood. All this madness happened under a space of about three weeks and it was then that my mum realised how hopeless my situation was and she went out and bought me more shorts. 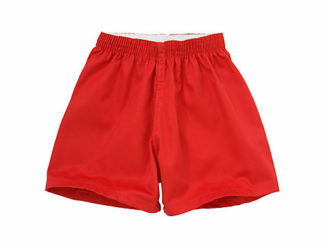 However even after she bought me all these new shorts, I found myself wearing my red shorts more often than I did the others, I guess it’s true what they say about first cuts. 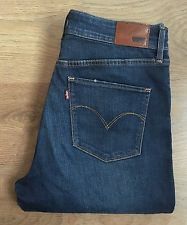 My red shorts and I were inseparable till the day my big sister got me my first pair of jeans.